Benzodiazepines are a class of medications commonly used for their tranquilizing and anti-anxiety effects. In the United States, benzodiazepines are classified as Schedule IV controlled substances. It is believed that benzodiazepines affect the gamma-aminobutyric acid (GABA) receptors of the brain. This action results in slowing of the central nervous system (CNS), inducing a state of relaxation. 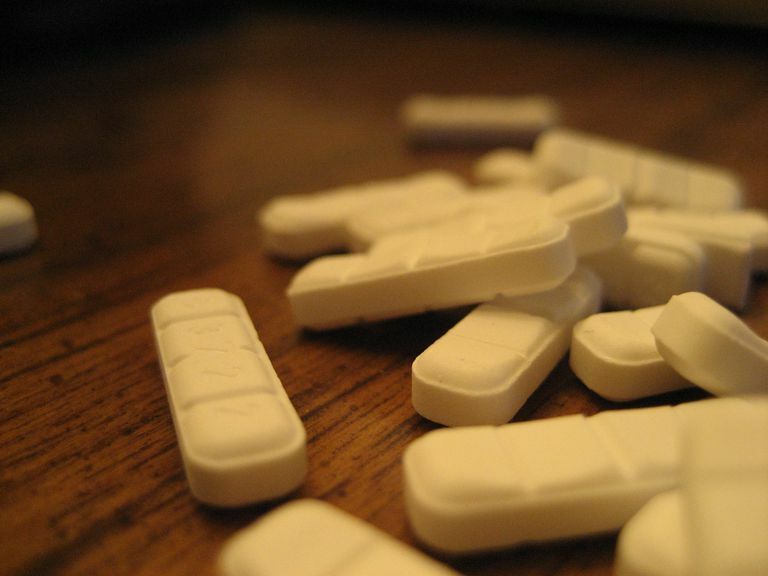 Benzodiazepines are fairly quick-acting, relieving symptoms in a short amount of time. Benzodiazepines may also be prescribed for other conditions. Depending on your condition and symptoms, benzodiazepines may be taken once per day, multiple times per day or on an as-needed basis. Your doctor may begin with a low initial dose that may be increased if you are still experiencing symptoms. The therapeutic dosage varies greatly from individual to individual and may depend on the severity of one’s symptoms and his or her unique body chemistry. Benzodiazepines should be taken only as directed by your doctor. You should not increase your dosage without consulting your doctor. If you've been prescribed a benzodiazepine, do not stop the medication without your doctor’s advice. Doing so may cause unwanted withdrawal symptoms or worsening of your condition and symptoms. The most common side effects of benzodiazepine use are drowsiness and impaired coordination. Other side effects include slowed mental processing, confusion, memory impairment, and fatigue. If these or other side effects arise and continue to be bothersome, talk to your healthcare provider. Certain drugs, including SSRIs, may affect how a benzodiazepine is metabolized and excreted from your body. This may cause a rise of benzodiazepine medication in your blood. It is important to follow your doctor’s dosing instructions when taking benzodiazepines with SSRIs or other medications to avoid an increased risk for overdose or unwanted side effects. Mixing benzodiazepines with alcohol or other classes of sedative (depressant) medications may produce increased depression of the ​CNS. These interactions can be potentially serious and can result in an increased risk of overdose. There have been reports of fatalities involving these interactions. This list is not all-inclusive. There are other drug interactions that should be avoided and medical issues your doctor may need to consider before starting benzodiazepine therapy. Be sure to tell your doctor about all medications, including over-the-counter drugs and supplements, you are taking. Talk to your doctor or pharmacist before taking any prescription or over-the-counter medications with benzodiazepines. Benzodiazepines have been linked to congenital birth defects when administered during the first trimester of pregnancy. They are also excreted in human breast milk. If you are taking benzodiazepines and become pregnant, talk to your doctor right away. When used as directed, benzodiazepines are generally safe and effective. However, overdose events have been reported with benzodiazepines alone or in combination with alcohol or other drugs. These events can be potentially life-threatening. If benzodiazepine overdose is suspected, immediate medical attention is required. Benzodiazepines have the potential for physical dependency when used for long periods of time, especially at high doses. They can also be psychologically addictive in some individuals. Studies have shown that people who take benzodiazepines over a long period of time may develop tolerance to its therapeutic benefits. If tolerance occurs, larger doses of benzodiazepines may be needed to bring about desired results. Again, do not discontinue or decrease your benzodiazepine medication without consulting your doctor. It may be necessary to decrease your dosage slowly to avoid withdrawal complications. Lessenger, James E., MD and Feinberg, Steven D., MD, MPH. “Abuse of Prescription and Over-the-Counter Medications.” J Am Board Fam Med. Jan 2008. 1983; 286: 1876-7. Longo, Lance P., MD and Johnson, Brian, MD. “Addiction: Part I. Benzodiazepines--Side Effects, Abuse Risk, and Alternatives.” American Academy of Family Physicians. 01 Apr 2000. 2121-2131.